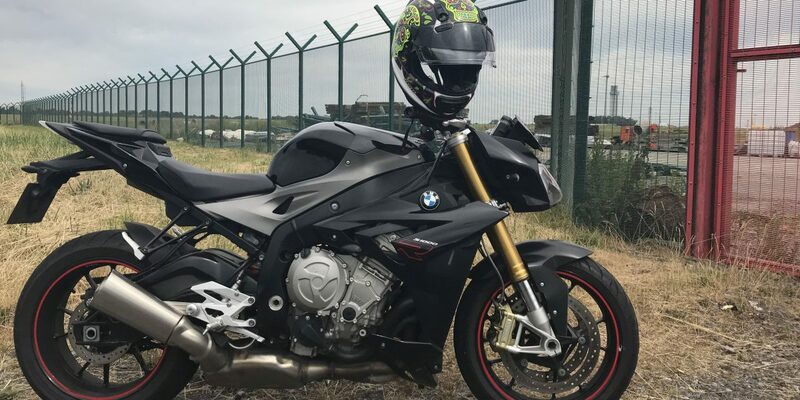 There’s something about superbikes with conventional handlebars, as BMW’s S1000R so effortlessly demonstrates. Whilst the original was derived from the full fat S1000RR which produced close to 200 ponies, the single R is a little more modest with ‘only’ 160 BHP on tap. 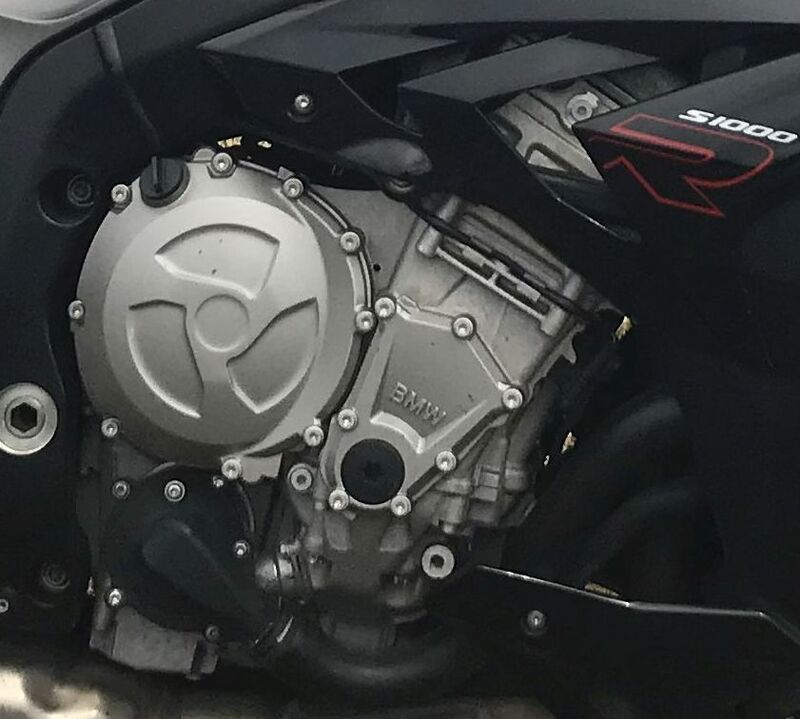 The motor has different fuel injection mapping to the full sports version, which, as well as fuelling the bike perfectly,also allows it to produce the same amount of torque earlier than its faster sibling. This makes for a more usable ‘real world’ machine than any sports bike could ever be. A well ridden single R is just as capable of slaying giants at a track day as a 200BHP plus litre sports bike. At the same time thanks to its ergonomics it’ll happily take a pillion and a set of panniers for a weekend away in the country. Add a tankbag to the equation and you may not be able to carry everything that you want, but you’ll have more than enough space for everything that two people could need for a few days away. Where this thing really shines is on the road. The S1000R is well spec’ed with ABS, traction control, a choice of riding modes and a nice short, dynamic chassis. The stability control is simply excellent and worth its weight in gold. The standard wheel sizes offer the rider a huge choice of rubber all the way from touring tyres to hot and sticky track day specialist rubber. The model is now in it’s second generation with the older ones having yet to present any significant problems. Most of the ones sold in this market tended to be very well finished with a host of factory fitted accessories such as LED lights, heated grips, alarms and immobilisers as well as toys like Gear Shift Assistant. 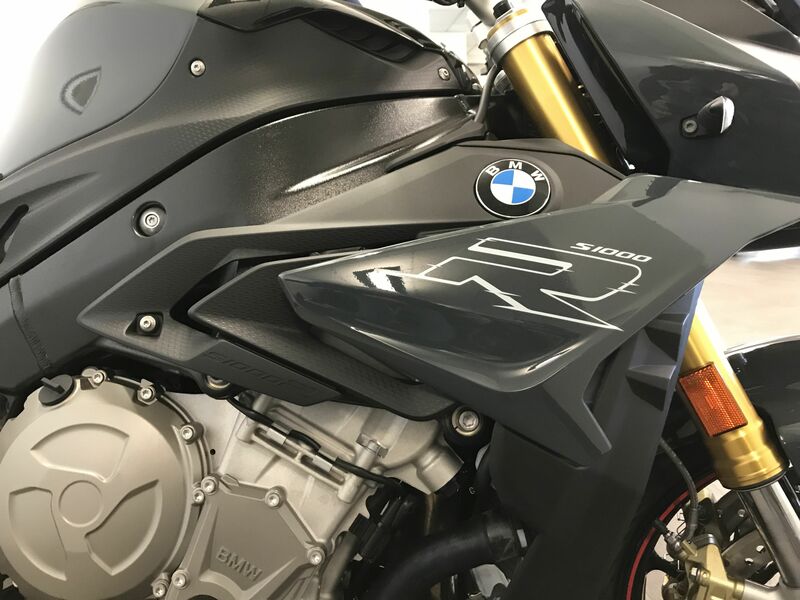 Buying a used one from an official dealer comes with the advantage of a BMW approved used bike (AUB) warranty. While this doesn’t cover quite as much as it would on a new bike, it does embrace an awful lot and gives the owner plenty of peace of mind. If you fancy getting your gloved hands on a bit of the conventional, Joe Duffy Motorrad in Dublin has a 2016 S1000R on the floor for €11,495. If you’re lucky enough to live in the south of the country, talk to Jer at Kearys Motorrad (021 500 3600)in Cork.